"Hooked JC, located at 467 Communipaw Ave only a couple of blocks from Berry Lane Park, is a new seafood spot owned and run by Tory Aunspach, a long-time chef who has cooked around the world and Natalie Miniard of JCity Realty. Hooked is focused on seafood, offering everything from fresh catches of the day to fried oysters to jambalaya. The approach is straightforward but very customized, meaning you choose what seafood you want - blackened, fried, or grilled; if you want it as a po'boy, a platter, or over a salad; and what sauces you want served with it. In addition, they have a number of sides including honey-jalapeno hushpuppies and some non-seafood menu items like chicken and vegetable entrees and a variety of salads and sides. Everything runs approximately. $8-12 and it's BYO, making it an affordable meal out." Jersey City’s first and Hudson County’s only distillery is opening at the end of June. Corgi Spirits, located just off Pacific Avenue at 1 Distillery Drive, will soon release two locally-distilled gins and one vodka. All premium, small-batch, handcrafted, and inspired by Great Britain–the birthplace of so many bespoke bottles of superb spirits and a perfect place to start for Founder and all-around Anglophile, Robert Hagemann. The Jersey City Distillery occupies the start of a row of industrial warehouse spaces, and walking along the access road adjacent to the railroad tracks, you might wonder if you’re lost, but then around the corner, their massive mural comes into view and the section of gold Corgis is both welcoming and unexpected. The mural by local street artist Hellbent is bright with herringbone and houndstooth patterns that echo the brand’s packaging for the Earl Grey and Pembroke Gins. And a pretty pink section hints at a rose and honey gin in the works. Mr. Hagemann, the incredibly articulate and whip-smart founder of Corgi Spirits, spent his junior year in college living in Tokyo, hanging out at the New York Bar, and was hooked by the entire craft cocktail experience–the pageantry and pride of the bartenders and their commitment to something that will literally be gone in five minutes. After a stint as a bartender and living what sounds like multiple professional lives in the corporate world, he is back behind the bar not only as a creator of cocktails, but after years of study, an actual maker of spirits. The spirited mascot, a Corgi silhouette, serves multiple meanings by being Mr. Hagemann’s favorite four-legged breed because they’re goofy despite their pedigrees and a cause close to his heart; for years, he has worked with local animal rescue organizations and a portion of the distillery’s proceeds will be donated to See Spot Rescued and the Liberty Humane Society. Corgi Spirits is also committed to many other programs, including the Community Food Bank of New Jersey, Pro Arts, the Jersey City Parks Coalition, and Hudson Pride, elevating the spirit with social missions as well as a great cocktail. Primary voters in New Jersey have chosen Democrat Phil Murphy and Republican Kim Guadagno to face off in the race to succeed Chris Christie as the Garden State’s governor. JERSEY CITY -- A new parking zone including the entire Jersey City Heights area was given final approval last night by the City Council, which heard from residents who described the parking situation in that section of the city as a "free-for-all" and the "wild, wild west." The measure, approved 7-0, establishes a zone that will allow residents to park for 24 hours a day and limits everyone else from parking longer than four hours without a permit. Heights residents lobbied for the change, saying parking spaces in the city's northern neighborhoods are hogged by non-residents. A $15 annual permit for residents will allow them to park in the zone 24 hours a day. A non-residential parking permit will cost $300 a year. People who work but don't live in the area will have to buy a $50 permit every six months. One of Downtown Jersey City’s most popular cocktail joints will soon be expanding to a spot on the cliffside, as the owners of The Archer will soon be bringing their concoctions to 328 Palisade Avenue. The restaurant, known for their small plate dining and creative cocktails, will be taking over the old Trolley Car Bar space in The Heights. The group just closed Thursday on a lease at the property and will be opening a different concept from The Archer that will be called Low Fidelity Bar. Mack-Cali Realty Corporation, who owns Harborside, is making major capital investments along the waterfront in the retail, commercial, residential, and public spaces to create a “pedestrian-friendly urban landscape at the water’s edge” and a real “live work play” kind of neighborhood. Bill Matsikoudis, who was corporation counsel for nearly a decade under former Mayor Jerramiah Healy, announced his intention to run for Jersey City mayor next year in a video posted on his campaign website this morning. Citing his "profound love" for Jersey City, Matsikoudis is vowing to focus on implementing community policing, cutting "out of control" city spending, increasing affordable housing and more. The 45-year-old Downtown attorney is the only person to declare his intention to challenge Mayor Steve Fulop in November 2017. "I hope to be elected your mayor so that I can fully dedicate all that I have to offer to make Jersey City safer, more affordable, more beautiful and the truly world-class city that we know it can be," Matsikoudis says in the four-minute video. Matsikoudis' announcement comes a year before voters will head to the polls to select a mayor and nine City Council members. JERSEY CITY — The neighborhood behind the Landmark Loew's Jersey Theatre in Journal Square would be set for a radical transformation under zoning changes up for final adoption by the City Council tomorrow. The changes would allow the Harwood family to construct residential high-rises and arts facilities on a roughly 2-acre area the family owns that runs along the PATH tracks. The area is now home now to parking lots and a garage. The city hopes the changes will lead to the creation of a cultural arts district connecting the neighborhood west of the Loew's to Journal Square. The Harwoods would be allowed to build taller high-rises than zoning allows in exchange for creating spaces for theaters, art galleries and studios, museums, libraries and more. The plans also call for improvements to Concourse West, the walkway commonly called the Loew's alley that offers a direct if narrow connection between the Marion neighborhood and Journal Square. The zoning changes would require developers to incorporate retail space within the concourse and adjacent plaza at the foot of Magnolia Avenue. The zoning changes would allow for two residential high-rises, one near the foot of Magnolia Avenue and the other near the foot of Pavonia Avenue. The city would allow the developers to exceed the 37-story maximum on each in exchange for the construction of cultural arts facilities in the high-rises and in two additional low-rise buildings. A fifth low-rise building would be allowed to house restaurants, cafes and other retail stores. The city also envisions an amphitheater, dog run and playgrounds on a site near Van Reipen Avenue. If approved by the council tomorrow, the zoning changes offer a template to the Harwoods. There are no plans yet, Harwood said, adding that unlimited height restrictions would not lead to soaring skyscrapers. The West Side / Is a restaurant row coming to Jersey City's West Side neighborhood? And with that, Hallanan has already surpassed his predecessor's achievements. Is a restaurant row coming to Jersey City's West Side neighborhood? A proposal to restructure the zoning along Jersey City's West Side Avenue to create a restaurant row on the commercial thoroughfare is set to go before the City Council this week. An ordinance, which will be introduced on first reading at the City Council's meeting Wednesday, will add a roughly one-mile stretch of West Side Avenue to the city's Restaurant Overlay Zone (ROZ). The ROZ is an alternative-zoning category meant to encourage the creation of sit-down and take-out restaurants in order to increase economic activity, draw pedestrian traffic, and revitalize commercial corridors. "Longtime residents of Ward B will recall that West Side Avenue was once home to numerous restaurants: Ilvento's, Jules, the Family Tree, the list goes on. They are all gone," Ward B Councilman John Hallanan said in a press release announcing the proposal. "This restaurant overlay legislation which I am proposing will incentivize new restaurants to open along this vital business corridor in the heart of Ward B and inject some much needed street life to the area," Hallanan added. By easing the zoning restrictions on restaurants along West Side Avenue, city officials say business and, ultimately, job growth can be spurred in the area. Co-working giant WeWork has made headlines for its ambitious growth plan. Last year, co-founder Adam Neumann told the crowd at a real estate panel that the company was looking to take 30 million s/f in the next five years. But despite the fact that the firm seems to be taking another 100,000 s/f of space somewhere in New York City every week, they are some places the six-year-old firm won’t be taking space any time soon. He joined the firm in March of this year from Cushman & Wakefield, where he was an office leasing broker. He previously represented WeWork in a 2013 lease when the co-working firm took more than 120,000 s/f at 222 Broadway. Black is now overseeing WeWork’s East Coast expansion, which includes New York City, Philadelphia, Boston, Washington D.C., as well as Miami and Atlanta. He did say there are plenty of things in Jersey City to like, noting that developers have had success there, including the LeFrak Organization, which started redeveloping the Newport area of Jersey City in 1986 and is now working on its 17th residential building there. But ultimately, people who live in a neighborhood have to invest in it for it to become something great. To find the areas that could become trendy centers of growth, Black believes in following the artists, a group that makes the kind of investment in a community that helps it grow. “When the artists get there, they take a vested interest in those communities, and they begin to open up nice cafes, restaurants, they have events they’re hosting, creating connections, and that really builds something wonderful,” he said. If WeWork decides to open a location in Bushwick, there is an obvious option in the formerly gritty area. Savanna and Hornig Partners’ 95 Evergreen, the former Schlitz Brewery conversion, was just completed this summer, and developers are looking to attract creative and entrepreneurial companies to the five-story complex, which will have high-end office and retail space. Where Williamsburg and Bushwick have succeeded, other neighborhoods expected to have a renaissance that some expected, have not, said Black. However he gave credit to Conde Nast, the media giant that moved into 1 World Trade Center, for helping to foster a “chain reaction” that brought energy, entrepreneurs and small businesses to the area. “Following artists and people making investments in areas and beautifying areas and creating communities, I think you’ll find a recipe for a winning formula,” said Black. He listed the Miami neighborhood of Wynwood, San Francisco and Bushwick as places where WeWork wants to be. “Most of these areas are not driven by large skyscrapers and buildings erected that build the charge. What leads the charge is where a vibrant community exists. What was the acorn? The artists in the creative sector,” he said. In looking for new locations, WeWork isn’t trying to be the first company to make a splash in the neighborhood — they want to pick up where someone else left off. Good population growth, “high IQ” cities, great transportation are three of the most important metrics the firm looks at. Ultimately though, for Black, the choice often comes down to a feeling. “One of the things I’ve learned from being a commercial broker, is we spend a lot of time doing a lot of really great analytics and financial runs and analysis, tax rent forecasting. “At the end of the day, people are making decisions based on the way they feel. If you don’t feel good, if it doesn’t resonate with you, that’s a big deal,” said Black. Digital technology has changed our lives in dozens of ways, but a few simple truths remain: People still enjoy the old-fashioned pleasures of going to the movies, reading a book, and shopping at a record store. Nowhere is that more evident than at Jersey City's Iris Records, which celebrates its 20th anniversary this weekend with a gala event at the new Cathedral Hall on Montgomery Street. The anniversary bash will take place on Saturday, October 15. "This is a party for our longtime customers and new customers, our best customers and our worst customers, our ex-employees, and everyone who's been involved with the store," said Iris' owner, Stephen Gritzan. "It starts at 9 and ends at 3, there's a cash bar, free admission, and we're going to have our best DJ's playing a variety of music throughout the night." Cathedral Hall is the deconsecrated St. Bridget's Church at 380 Montgomery Street, which has been repurposed by the Fourth Street Arts organization to host concerts and special events like this. 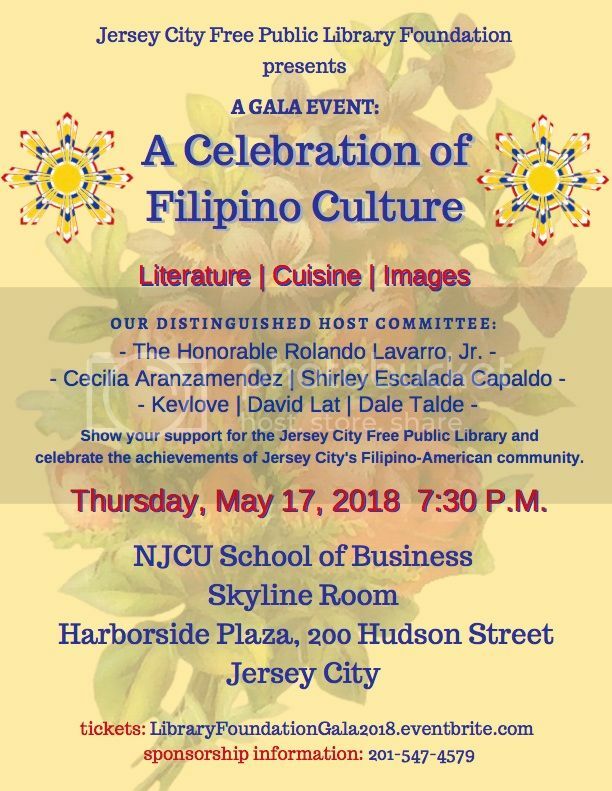 "It's been a very unlikely 20 years here in Jersey City and I thought it was something that should be celebrated in a big way," said Gritzan. Gritzan opened Iris Records in the storefront at 114 Brunswick St., in 1996. "There was nothing going on in the neighborhood back then," he recalled. "Downtown Jersey City was a ghost town. A lot has changed since then, and I'll tell you, with everything I see going on with gentrification and rents... I tell everybody, there's not going to be another party. I suspect I won't be here forever. So come to this one." WFMU deejay and former Maxwell's owner Todd Abramson will be among those spinning records at Cathedral Hall. "We'll have house, disco, garage, every kind of music," said Gritzan. "We've had a lot of really great people spin records in the store and at the Record Riots over the years and we'll inviting all the best ones to come play at the party." The Iris Records 20th Anniversay Celebration will take place at Cathedral Hall (380 Montgomery Street, Jersey City) on Saturday, Oct. 15. Doors open at 9 p.m. and admission is free. Iris Records is located at 114 Brunswick St., and is open noon – 8 p.m. Tuesday through Friday, and noon – 9 p.m. on Friday and Saturday. The Jersey City Record Riot will take place at Grove Street Plaza on Saturday, Oct. 29 from 9 a.m. to 6 p.m.